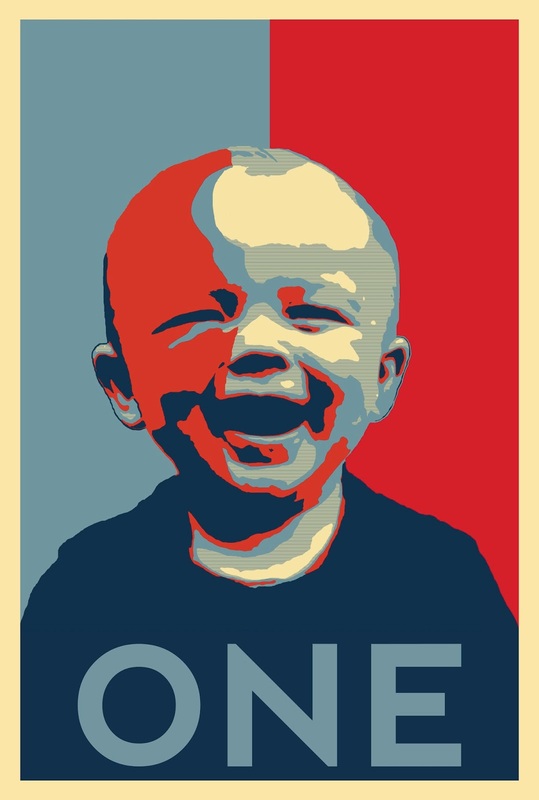 So months ago my incredibly creative husband came up with the idea to do a first birthday party for our son Cashel with the theme of “Cashel for President.” I LOVED it and immediately started secretly pinning away patriotic ideas. 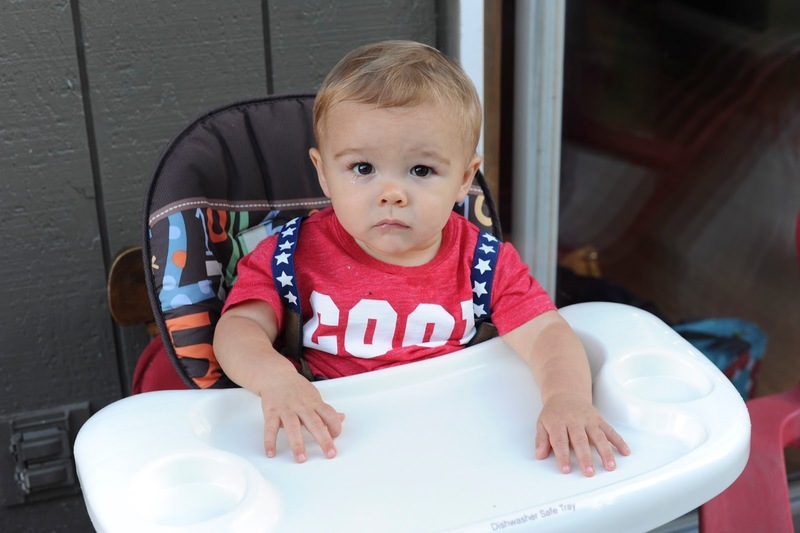 It evolved into influencing the theme of his big boy room so many of the decor items or ideas we came up with were multi-use for his new room too. Which of course was even more inspiring to get to work on prepping his room. This of course launched the planning further. 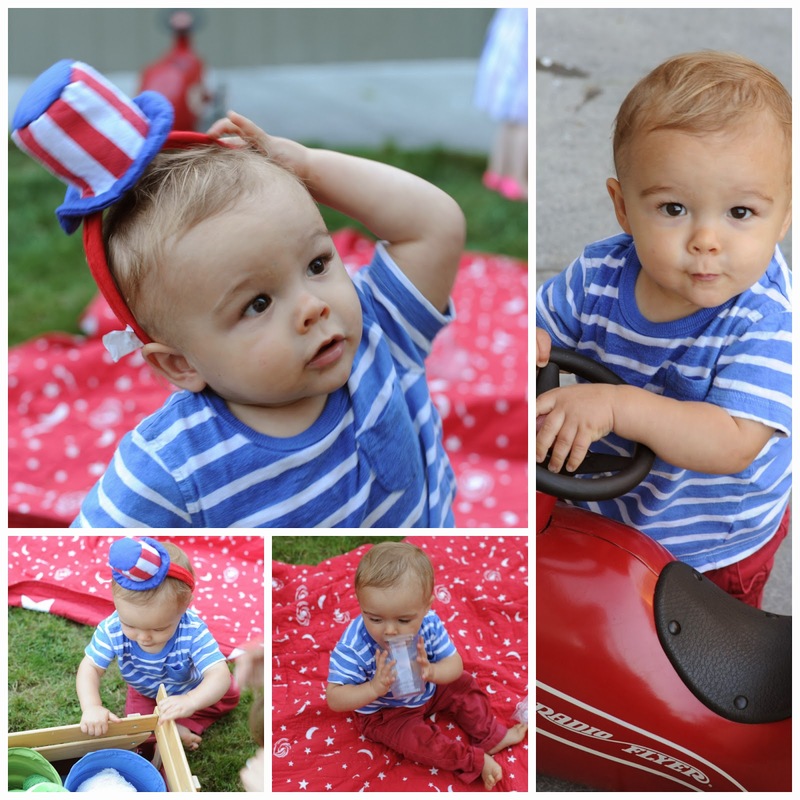 I collected patriotic items through the month of July and pretty much had that aspect taken care of before our trip to Hawaii. Then when we got back I set to work planning food, including sending fun food ideas (Pins from Pinterest) to close friends who I knew wouldn’t mind helping make my vision come to life. 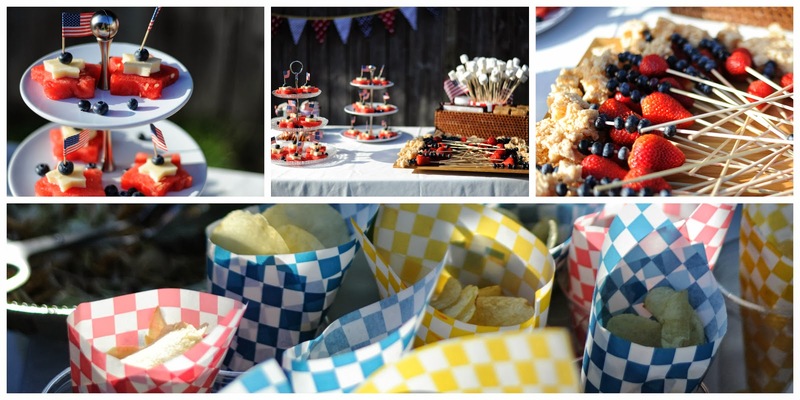 I knew I wanted an “All American” feel to the food too so we decided on sausages, pasta and potato salad, baked beans, potato chips, and any side dishes the guests brought along. 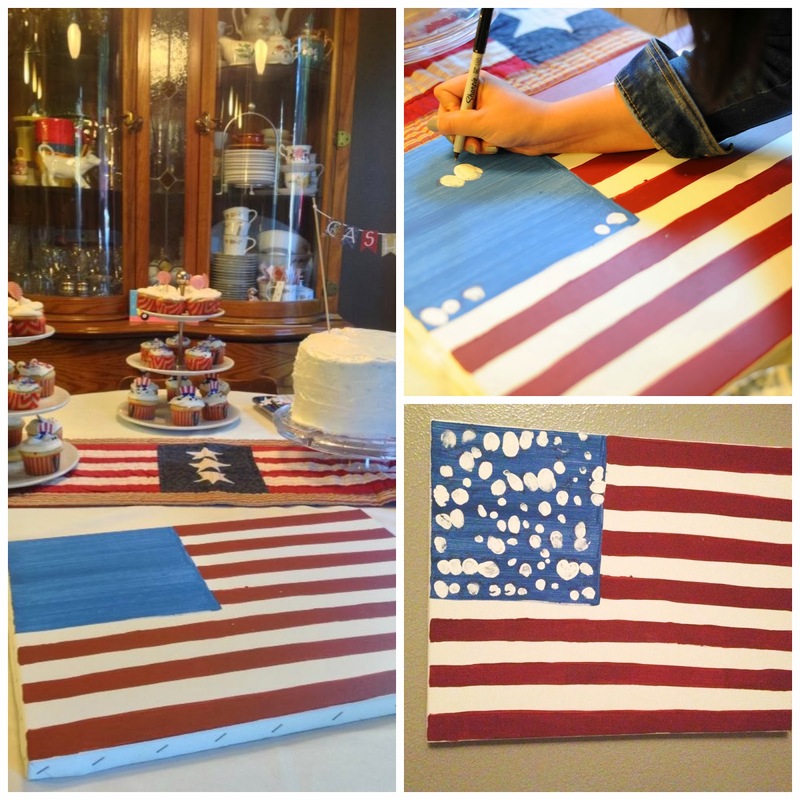 We selected the cake design and decided on fun Uncle Sam cupcakes made from red, white and blue funfetti cake mixes that I also acquired during the fourth of July season. 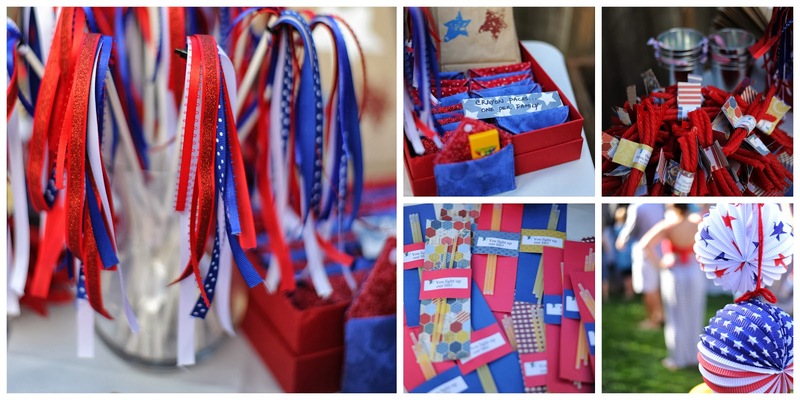 I also had a weekend away in Bellingham where I worked on the fun favor items while Cashel Man napped. I’ve learned that at home I have chores but at a friends house when he naps I can do something like that. I prepped as much as I could early on so that the week of I could focus on the yard and house. I knew that it was going to be a full house as we have a wonderful community of friends and MOST of our family lives in town. That said I had to consider space. We needed the inside and the outside ready for company. Cutting the cake was so much fun! Here you see why! Talk about inspiration. Don’t you agree that there is NOTHING like company to inspire you to get your house in order. Plus I knew I wanted his new big boy room on the verge of ready so there would be a place to put gifts and we could begin the transition long before our second arrives in March. Goals accomplished with a lot of help from my husband and our family. I want to share some of the incredible shots from the day. But with one caveat. I have learned about this thing I call “Pinterest Pressure.” It’s something we do to ourselves – I do not blame Pinterest. We compare ourselves, set our expectations high and included in those expectations are thoughts that we need to do or be “like someone else.” That is not the case. Know now that I will not throw a party like this every year. In fact we are discussing now what we will do for future birthdays for Cashel. 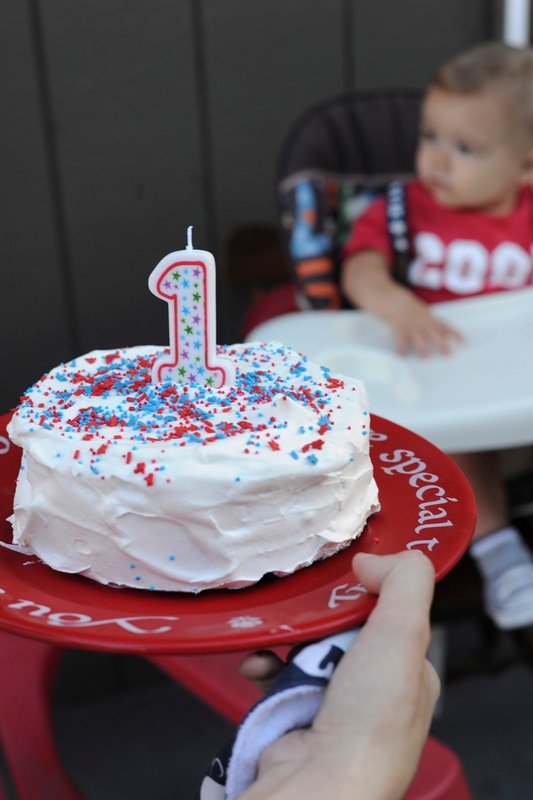 Our thought is to do one year with family and the next with his friends – alternating years. Simply because we are so close to so may family members and have such a wonderful support system of friends who are our family. There will need to be a balance. Plus we discussed the fact that as he gets to be a bit older, as will his friends, that we will invite the friends but not the whole family. 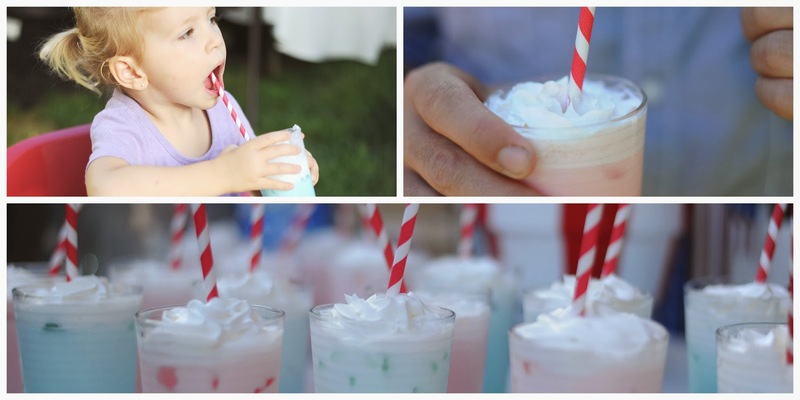 Budget and “kid friendly” dictated both drinks (red and blue italian sodas) and favors. I chose to go light on the candy and only did red vines because for many they are permissible. They were wrapped in a paper that said, “thanks for making my birthday so sweet.” We also chose glow sticks and included the saying, “you light up our life;” “sparklers;” (wands made with ribbon) and a friend of mine helped make crayon pouches that Mom’s could carry in their diaper/kid bag. Plus I sponge painted brown paper bags as “goodie bags” so the kids could make selections and add them to their bag. 12 of the bags were also lanterns along our front fence line welcoming people. Kiddos chose a selection to add to their goodie bags. Many of the items from the party are being reused by me and a couple of special things went into his big boy room. 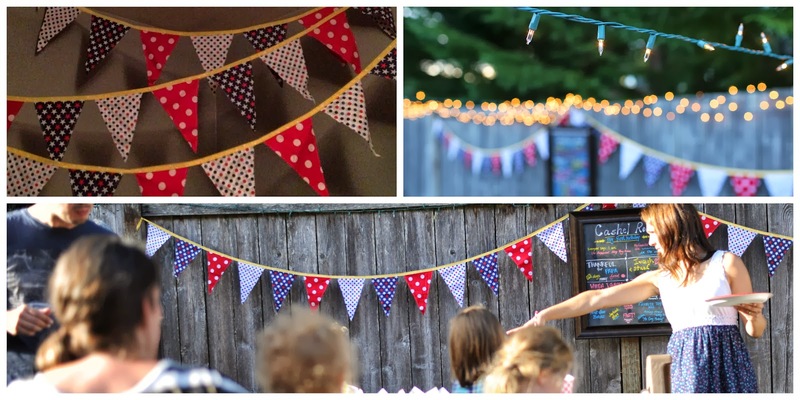 The first were the bunting made in red, white, blue, and yellow as a tribute to Jayhawk colors. 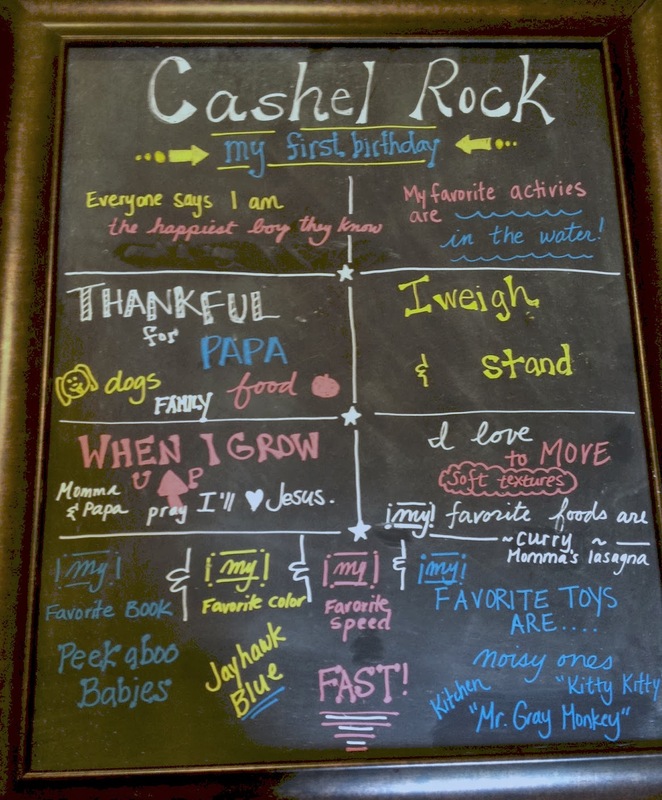 His first year statistics chalkboard is now a part of three chalkboards that hang above his crib. And finally this incredible piece of art the guest contributed to. Guests signed this canvas with a fingerprint and their name and now it’s hanging in his bedroom. Such a cool keepsake. 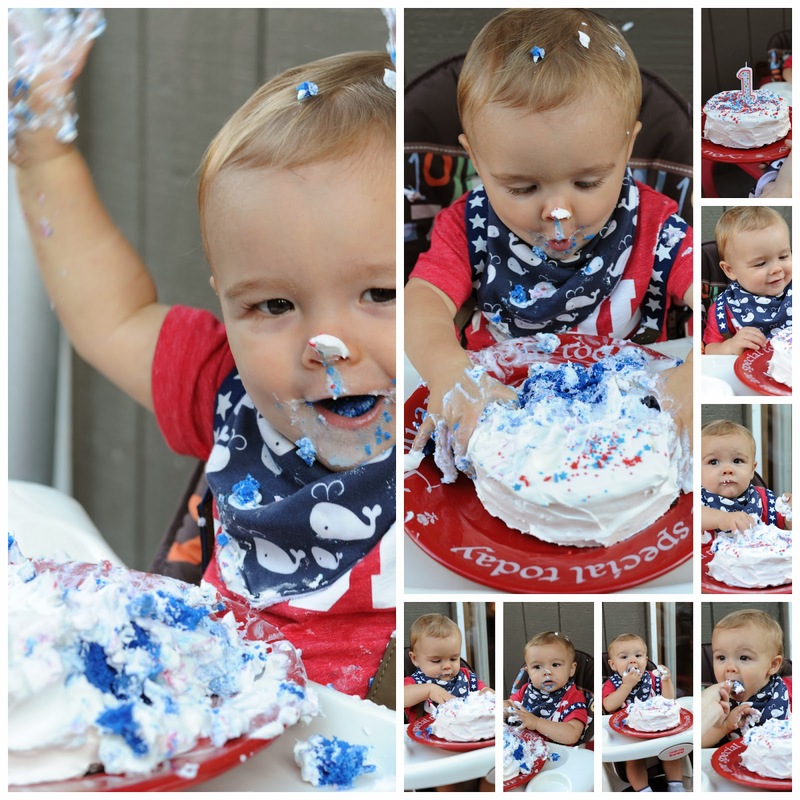 The cake smash was a highlight for everyone. Hope you enjoy the pictures of that awesome experience, and yes I did narrow them down A LOT for your sake. 😉 I’m including a section about gifts at the end of the post because I’d like your thoughts or ideas. 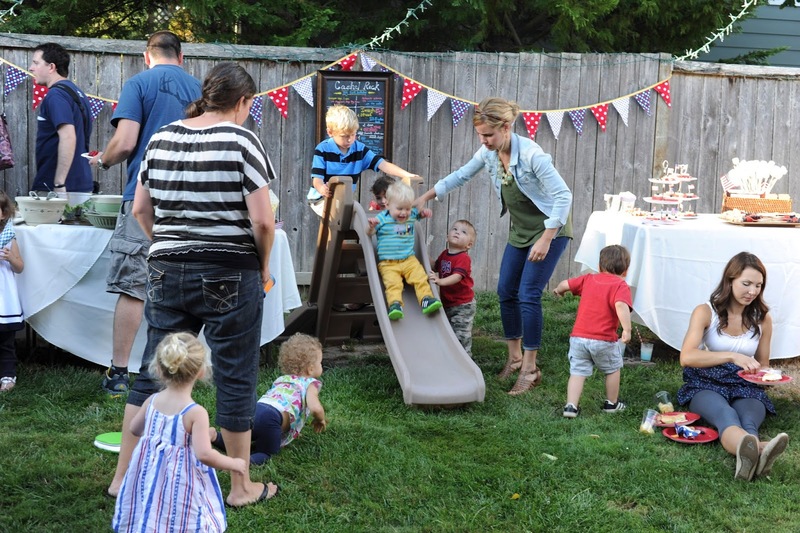 How do you handle gifts at our kids’ birthday parties or really any time of the year? Thanks for reading and sharing. Me with my birthday boy. He was hard to track down! Again the red, white, and blue with a touch of yellow. These were just clear cups lined with tray papers. Single servings are always a hit! 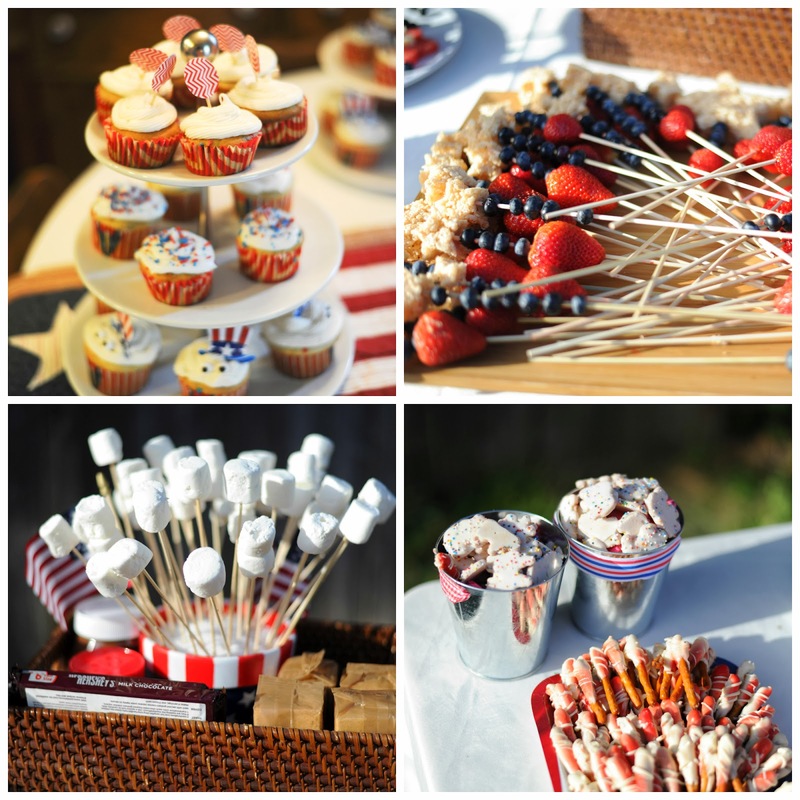 Rice crispy sparklers and the s’mores bar! Friends helped by bringing side dishes within the theme like these fruit sandwiches, and chocolate covered pretzels. I had no idea how important the slide would be. It kept the kidlets busy!! Behind the slide you see a chalkboard that had Cashel’s first year statistics and “interview” on it. Also now hanging in his room. Cake time! 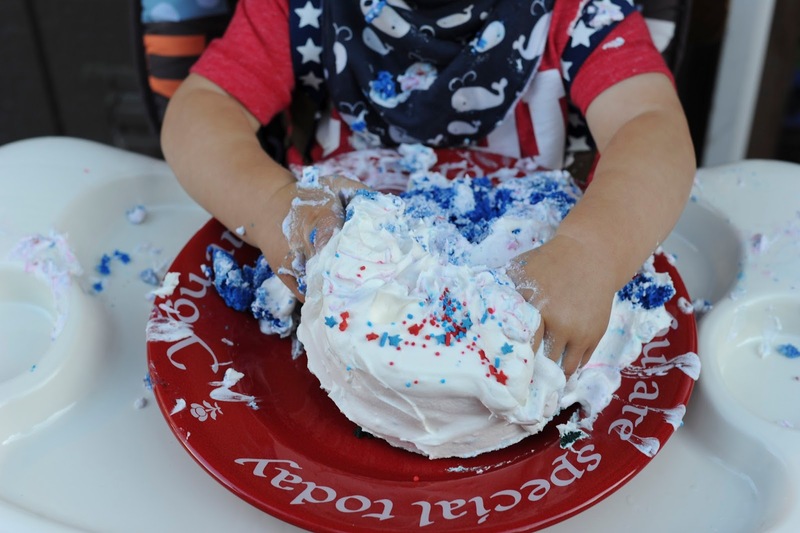 We will typically serve his cake on a plate we made at a pottery place here in town. It has his footprints on it (around 1 month old) as a race car, john deer tractor, rocket ship, and fire engine. 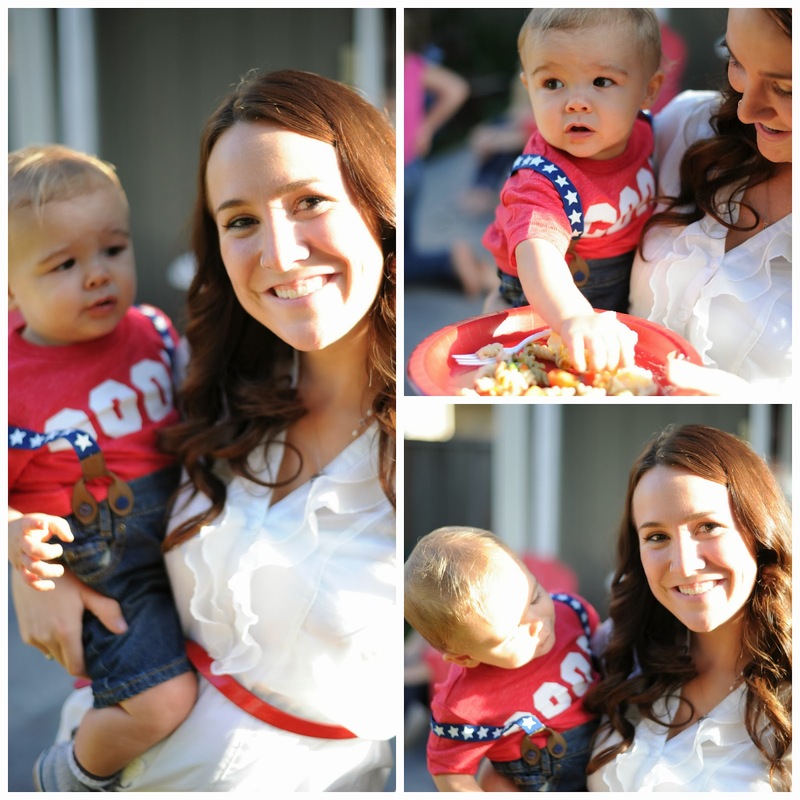 This year we stayed true to the red, white and blue theme and used our family’s “You’re Special Today” plate. He really enjoyed this part! 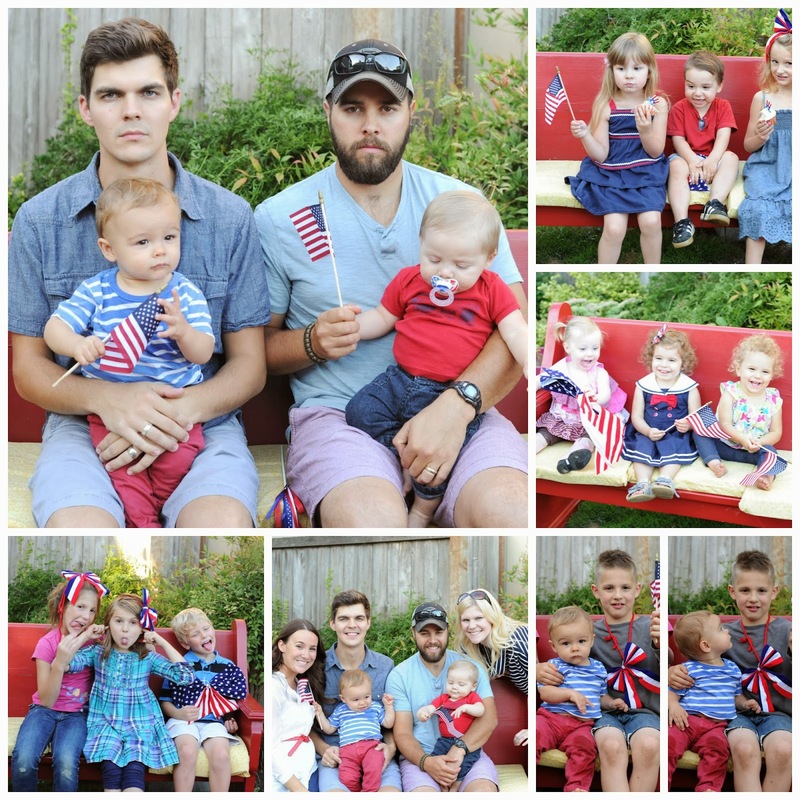 Friends took pictures on the red church bench and fun patriotic props! So… here’s the interactive part. We didn’t open presents at the party because he is just too young to do it himself, and and I don’t want the pressure to be on gifts – the giving or the receiving. I say that with NO judgments about how you and your family do it. 🙂 We simply saved that for the day after and made sure to write thoughtful thank you notes expressing our overwhelming gratitude. I’ve always been bothered by the fact that gifts get so much emphasis, and I’m still struggling with how to handle them in years to come. 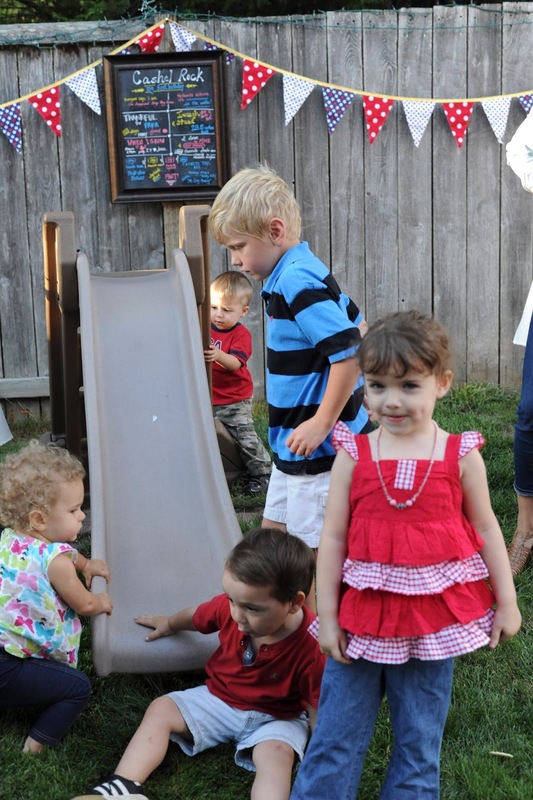 I dislike that the children at the party, at least when they are young, have such a hard time understanding why “he gets all the presents” and then there is the “mine” attitude. I recognize that giving and receiving and being respectful are important lessons to be learned too. I guess I’ll have to continue processing these thoughts and will keep you updated as they develop. 😉 I’d love to hear how your family approaches this issue.